I remember when I first recall hearing the word vicarious used in a conversation. This conversation occurred some 20 years ago, and the individual in question was my landlord, a well-spoken and ostensibly well-educated man not that much older than me. He was telling me that I would have to vacate the traditional cottage in the Wicklow mountains I was renting from his family as they needed money and had to sell it. He made reference to what he termed his hopeful, future ‘vicarious enjoyment’ of the property after its sale by the retention of a site nearby for his family’s use from which they could observe the new owners’ enjoyment of the cottage. I didn’t know what this word meant and some time later became curious enough to look it up in a dictionary. There I found the following definition: ‘experienced in the imagination through the feelings or actions of another person’ or ‘acting or done for another’. I’m not quite sure why this word above others made me curious enough to look it up in the dictionary, but something about it resonated with me. At that time, I was not engaged with education having left school as quickly as I respectably could many years before this conversation occurred. That is in contrast to now where, after 16 consecutive years university education I find myself continually looking up the meaning of words, likely in an attempt to enhance my prose as I find myself more-and-more writing for academic and professional reasons. My dyslexia makes this an ongoing challenge as no sooner do I rectify an issue with my spelling or pronunciation than another emerges. It appears that my dyslexia, like my childhood, is growing with me and I have come to embrace both. Regrettably, though, I still forget more of the words I look up in the dictionary than I remember, but hopefully, they may be lurking somewhere in my psyche. Perhaps it was just the sound of the word vicarious or its closeness to the word vicious that piqued my interest, or, perhaps it was the significance of the event where the word was spoken to me given how attached I was to this cottage and its location. Or, perhaps I admired the man who used the word and wished to imitate him as best I could. I have found that imitation of the traits and skills of skilled care workers I have worked with over the years has been one of my best forms of professional development so clearly, I use imitation a lot. I find it often more practical than other abstract forms of training and learning and very helpful in enabling me to link theory to practice, both my own and the practice of others. Or, perhaps it might have been my subconscious that recognised the word and wanted to prompt me to look at the extent to which I was allowing others to influence my life through vicarious processes. It could have been any of the above reasons, or it might even have been that the eventual purchaser of the cottage was the actress Mia Farrow which lent an air of grandiose validation to my love of this simple country cottage that made this conversation, and the word, memorable. I have come to accept that throughout my life I have become attached to places just as much as I become attached to people, and I find myself returning to these places periodically, almost like a homing pigeon returning to its base at unscheduled and apparently random intervals. It appears that I need to re-connect with these places, even briefly, perhaps to reconfirm my memory of them. I often wonder if I am responding to some deeply imprinted instinct or atavistic drive as, most certainly, these places hold enormous importance to me, linked, I suspect, to my sense of identity and belonging. Reflecting on this then makes me wonder about how some children in care, who are so often moved within care, fare in this regard of identity formation and nurturing of a sense of belonging? In any event, I learnt what the word meant and rarely used it over the next two decades. That was until my academic pursuits, framed by my practice experience and knowledge, brought me into the realm of vicarious processes in social care. These include vicarious trauma and vicarious resilience as well as vicarious vulnerability. I have come to recognise vicarious vulnerability as a phenomenon I have encountered many times in my work with traumatised children and young people over the years. Here, I have found that their vulnerability triggers vulnerability within me (Fenton, 2015). One example of this learning occurred when I was a worker in a children’s residential home some years ago. My colleagues and I were attempting to care for three teenage girls who were engaged in a cycle of para-suicidal behaviour, repeatedly ingesting large doses of paracetamol. We spent many shifts in the local hospital with the girls, sitting in uncomfortable chairs throughout the night, as they were recurrently admitted following each overdose. They were coming very close to known lethal dosages of paracetamol, and this appeared to be more by chance rather than intentionally on their part, as they appeared unconcerned as to the extent and consequences of the risk they were putting themselves at. I had several years’ experience in social care at this stage but had never encountered a situation like this, and I was experiencing anxiety and fear that one of these girls would take one pill too many and come to grave harm or die; irreversible liver damage was an ever-present possibility. I now know that it was my anxiety that led me to believe that they needed to be removed from the centre, making me believe it was too dangerous as despite our best efforts to keep them there as we could not prevent them accessing and taking these tablets. I will never forget how anxious I felt, so close to the edge beyond which is the dark abyss filled with primal fear and the unknowable from which return whole is by no means certain (Fenton, 2015:56). During this period, it required a lot of thought on my part before reporting for duty for each shift with the temptation to ring in sick being very strong. This was not something I was ever prone to doing but during this time I came close to doing so several times. It was during this time that I observed that while my colleagues and I were extremely anxious the manager appeared calm and her demeanour conveyed a sense of control to me in what otherwise felt like a situation that was out-of-control. I took the confidence I needed to continue working through this period from the manager’s apparent confidence and while I certainly felt I was in a situation that was out of my control, the manager appeared to be confident that she had some sense of control over the situation. So, I used her confidence to enable me to have enough confidence to carry on with my work. I followed her direction, in the belief that she knew what she was doing and that she had confidence that I, and my colleagues, were doing the right things in how we were struggling to care for these girls and keep them alive. Many books have been written on management and leadership and the difference between the two, with one well-known differentiation being: ‘management is getting people to do what they don’t want to do, whereas leadership is getting people to do what they don’t think they can do’. Clearly, this manager was an excellent leader as she empowered me, and my colleagues, to do what our anxiety and fear made us think we could not do at that time. As most often happens, the crises abated after some weeks as the cycle ended, thankfully without irreversible harm befalling the girls, and a sense of normality gradually returned to the centre. Sometime later, when I reflected on this time with the manager in supervision she told me that this was the worst time of her life and that she too was extremely anxious that someone would die or suffer life-changing consequences. I am forever indebted to her for her honesty and courage in telling me this as once I realised this was the reality I was then able to see just how important her façade of confidence was in enabling me, and others, to continue to do our jobs. She internally managed her anxiety and tolerated the uncertainty in the knowledge that had she not, likely the girls would have been discharged, and the centre might have completely imploded. The process whereby I took the confidence I needed from her, I have come to recognise, was vicarious confidence in action and since I recognised it for what it is I have always tried to replicate it in my work with children and young people and when in leadership roles. I have also encouraged others to do likewise, and I believe that this experiential learning on my part is a prime example of the merit of imitation, which is linked to role modelling or as I have identified elsewhere ‘(re)-production based on (self) absorption or “mimetic practice isomorphism’’ (Fenton, 2015:49/50). Just as importantly, through the same processes, I have learnt what not to do. I also began to see that at the core of social care/work practice is the fundamental necessity to manage our anxiety, given how much anxiety-inducing risk is involved in attempting to care for traumatised children and young people. This risk can be to ourselves, physically, psychologically, mentally, emotionally, and professionally, as well as to the children and young people and others, but it can also manifest as anxiety we experience through the vicarious process of caring for these children and young people. If we do not manage our anxiety, we are prone to making rash decision motivated by fear, as I was close to during this time of crisis with the teenage girls. Furthermore, by not managing our anxiety we reduce our ability to assist the children and young people to manage their anxiety through processes such as of co-regulation and ultimately, we are rendering ourselves more vulnerable to burnout. Thankfully, the manager managed her anxiety better than me, and my colleagues, which meant that the situation was managed in a ‘good-enough’ way. While working in this same home, I also learnt from a skilled colleague the phrase that ‘sometimes we have to fake it till we make it’ and this rang true with me following the experience with the three girls. I was not feeling confident, anything but, yet by borrowing the manager’s apparent confidence I was able to ‘fake’ my own confidence until the crisis abated and my confidence returned. To this insightful quip, I have added that ‘nothing succeeds like success and sometimes we have to fake it till we make it and encourage the children and young people to do likewise’. This is not merely trust by another name and it is more than belief in a person’s potential. Trust, it notionally can be said, implies that one believes that someone will do something but it does not make explicit the expectation of success in these actions. Confidence, I believe, implies an expectation of success in the present, as well as the future, and therefore it must be used judiciously as expectation beyond a person’s ability can be seriously harmful to both children and staff. Good supervision is critical here. I have enacted this approach to parenting my children and am glad to say I have witnessed its benefit to their lives on many occasions. I believe that it is a fundamental mechanism of developing social skills where, for example, we learn to mask our true feelings and proffer ‘fake’ responses, sometimes vicariously-informed, for example, by gauging the responses of others, appropriate to the social and cultural circumstances we find ourselves in. So, while there may not be a body of academic literature on the subject of vicarious confidence, I have a body of practice and personal experience attesting to its existence and importance. I have learnt, from life and social care practice experience, the study of psychology, and the observation of others such as the late, great, Rory Gallagher, that each of us is made up of several different personas. Rory, in his private life, has been described as a shy, introverted and somewhat diffident man but when he went on stage and assumed his professional persona he presented as an incredibly extroverted and confident person. So, I believe that it is possible to be diffident in one’s private life yet confident in one’s professional life and vice versa. I believe that this distinction is important to understand and accept, as today’s society tends to reify confidence, equating it with success, alongside the almost cult belief in the power of the individual leader and concepts such as resilience. People who exhibit the traits and characteristics associated with confidence, resilience, and leadership may be ideal from a neoliberal Government’s perspective, as a primary goal of neoliberalism, the reduction of public expenditure, can be achieved by the reduction of public services as such people will be less likely to need state financial support. However, this also means that anyone not possessing such traits or attributes is inferred to be in some way inferior to others; their circumstances, no matter how dire, adjudged to largely be their own fault. They are thereby deemed to be undeserving of accessing ever-decreasing state-funded support. Amongst the many dangers here is the denial of the reality that you do not have to succeed to be a success – something any care worker who has worked with traumatised children and young people for any significant length of time will confirm. In our work, we may not succeed in our endeavours with particular children and young people at the particular time of trying, but we do not lose motivation in affording each child and young person we encounter after such failures our expectation of success in making a difference to their lives and their ability to accept this assistance. The retention of this motivation is a true yardstick of our success. I have also learnt that if you expect the best of the children and young people you may often get back the best that they can do, whereas, if you expect the worst, you will most often get their worst. Failure can, after all, be the precursor to success and I believe that just as critical to success in social care as is the management of one’s anxiety, is how we and the children and young people respond to adversity. Yes, they and we will oftentimes fail, but far more important than these failures is how they and we respond to these failures; this will determine our success in becoming the type of social care workers we aspire to be. This is our responsibility, that is, after all, (again something that I first learnt from the aforementioned skilled colleague who taught me about ‘faking it till making it’) no more than us responding to our ability (responsibility meaning to ‘respond to one’s ability‘). Some further learning about confidence includes the fact that rather than precluding the professional from experiencing vulnerability, confidence is critical in enabling the skilled professional appropriately utilise and display their vulnerability. The manager I identified earlier clearly demonstrated this in her supervision of me when she showed me her vulnerability by telling me how anxious she had been during this time of crisis. Confidence and vulnerability are not opposites, they co-exist, meaning that the willingness to accept and appropriately show one’s vulnerability to another is not a sign of weakness, rather, it is a sign of strength and confidence. Furthermore, displaying vulnerability is not the same as displaying fear. Again, my practice experience has taught me that just as a child or young person’s experience of vulnerability can invoke feelings of vulnerability within me so also a worker displaying fear can invoke fearful responses from children and young people. These fear-based responses may include aggression, as they cannot manage the feelings and memories this fear causes them to (re)experience and they revert to inappropriate and unhealthy coping behaviours. Vulnerability, however, most often poses much less threat to others than fear and thus, I believe, it’s appropriate employment can be a highly protective factor for social care workers. In all circumstance, however, the display of a façade of confidence is critical. However, while displaying confidence is critical, this does not mean that one has all the answers nor knows what to do in all situations. People are dynamic and context ever-changing meaning that new and complex situations arise constantly. We work with human beings and few things in this world are as messy and unpredictable, yet powerful, as human relationships. Nobody can know what the right thing to do in all situations is no matter how experienced or educated they may be. Confidence also means that we are able to tolerate uncertainty and unknowing, as we are confident that the answers and the best way to proceed will become apparent and that we, and the children and young people, will be ok by responding the best we can to whatever arises. This much experience can teach us. One of the most powerful phrases I have utilised in my practice is ‘I don’t know, but…’. This is said with confidence that I, or they, can find the answer, or, better yet, that we can find the answer together. I have learnt that you only get so many chances when building trust with children and young people who have experienced adverse childhood experiences. If you tell them something with certainty that later turns out not to be true, trust will be lost and with this their confidence in the worker. Both will then be hard to regain. Consequently, in instances such as these, ‘faking it till you make it’ is not something I advocate, honesty and authenticity are paramount. Children and young people who have experienced adverse childhood experiences are looking for authenticity in the worker and may be hyper-vigilant for deception, making honesty key to gaining their trust. The worker needs to be confident enough to admit what they don’t know yet display confidence that we will find out so that the child or young person can trust and believe them that the answers will be found. The worker must be tolerant of uncertainty. This can enable the child or young person to find their own answers with the support of the meaningful relationship with the worker. Such relationships enable them to experience an enhanced sense of ‘felt security’, confident that with the relational support of the worker they will be able to find answers that they would not be able, or are too fearful to attempt to, alone. This is the role vicarious confidence can play within what are vital constituents of the life-blood of social care – meaningful relationships and collaborative meaning-making (Fenton, 2015:270). In my opinion, the ability of the worker to tolerate uncertainty is a true measure of their professional development and skill. When I worked as a direct residential care worker, I learnt to be wary when working with shift colleagues who were vulnerable to feelings of certainty. Often, it was on these shifts that avoidable difficulties tended to arise as these workers were not open to alternative meanings to events beyond what their need for certainty told them, just as my anxiety tried to ‘tell’ me the girls needed to be discharged from the home in the earlier vignette. They tended to rush to conclusions and decisions and I observed that the children and young people recognised them for this trait. Consequently, over time, I became uneasy around people exhibiting high levels of certainty while at the same time I came to recognise the value of curiosity, which induces thinking, in social care. I believe a confident worker is a curious, and therefore thinking, worker, unafraid to say ‘I don’t know, yet, but ..’. Few things are written in stone in social care and as Carl Jung said: ‘thinking is difficult, that’s why most people judge’. As we do not work in isolation, we must always acknowledge the context of the care-relationship, therefore it would be remiss of me not to reference the impact of forces external to the children’s residential setting can have on worker’s confidence. Here regulators need to be more sensitive to the impact their work can have on workers’ confidence as ultimately it is the worker and not the regulator who is the frontline practitioner. Confident, valued, well-supported and trained staff are a most important child protection factor in children’s residential care and a culturally-informed and principles-based approach to regulation that balances strengths with deficits has more to offer in promoting better outcomes for children in care than a deficit and rules-based approach. The media, academia, commissioners, and politicians must also be aware of the impact they can have on this vital confidence in residential child care. So, in summation, what I am learning, both from my own experience and the observation of others, is that it is necessary to endeavour to have professional confidence, to tolerate uncertainty and to understand, and be comfortable with our vulnerability. We must do this so that we can better manage our anxiety, and also so that others can vicariously borrow this confidence when they may need to. And remember, if you don’t actually feel it all of the time, sometimes, it’s ok to ‘fake it till you make it’. Fenton, M. (2015). 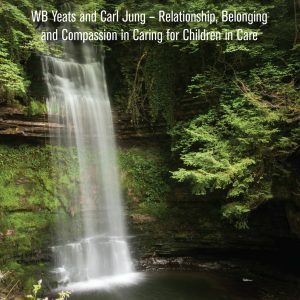 Social Care and Child Welfare in Ireland: Integrating Residential Care, Leaving Care and Aftercare, Dublin, The Liffey Press. Hillan, L. (2005). Reclaiming Residential Care: A Positive Choice for Children and Young People in Care, The Winston Churchill Memorial Trust of Australia.